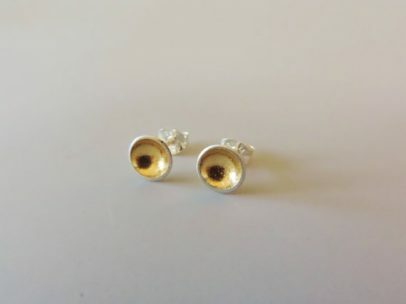 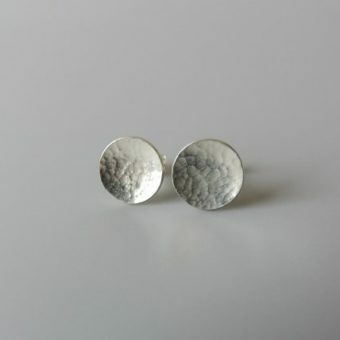 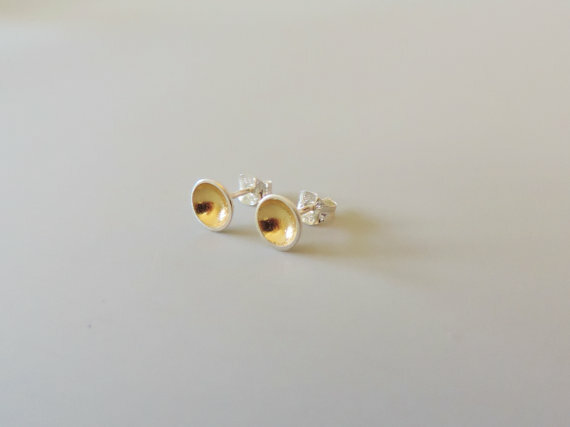 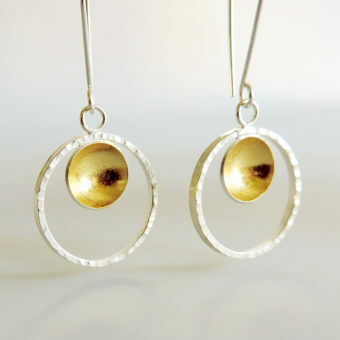 An elegant and dainty pair of handmade earrings. 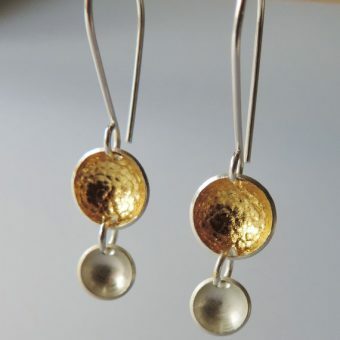 Made of sterling silver and 23.5k gold. 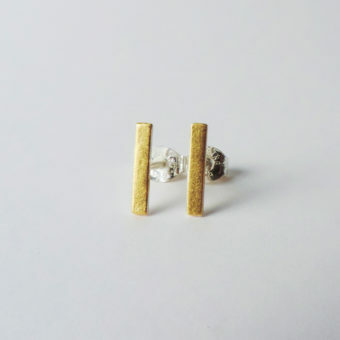 These simple and elegant studs will shine on your ears. 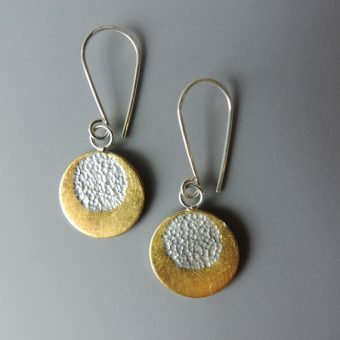 perfect as a gift or for a sweet and simple look for your wedding. 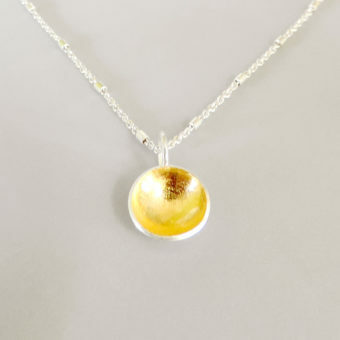 Made of sterling silver and finished with 23.5k gold keum boo on the inside of the dome.